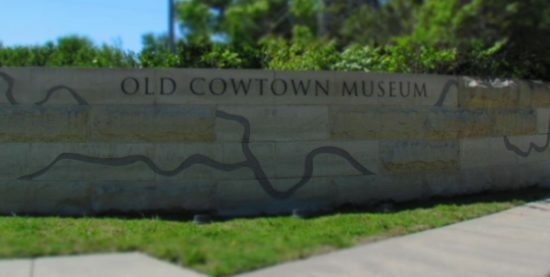 Being Midwesterners, we were looking forward to our visit to Old Cowtown. Wichita has a lot of similarities to our hometown of Kansas City. Both cities were frontier towns, which grew famous from the cattle trade. Both also have the confluence of two rivers in the heart of their city. It was near this junction that a replica of a 1860’s frontier town came to be. We want to thank the Old Cowtown for their hospitality. Rest assured that all opinions are our own. Old Cowtown is home to 54 unique buildings. Half of these are original, and have been relocated to this site to preserve them. 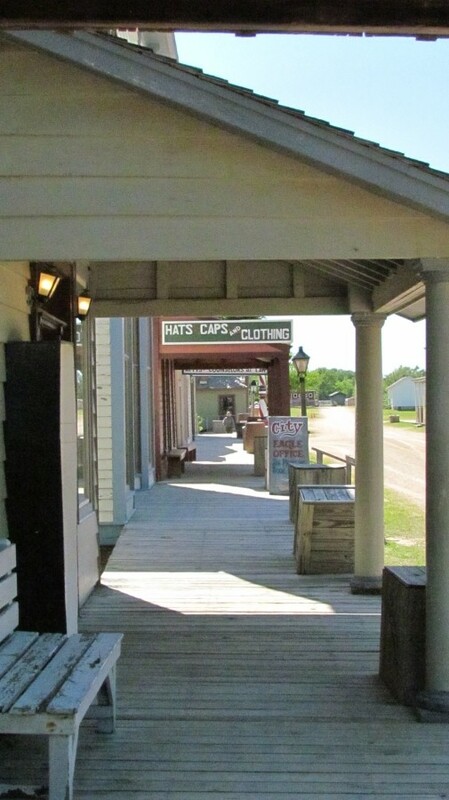 Visitors have an opportunity to walk the streets of a town stuck in the era of the Civil War. 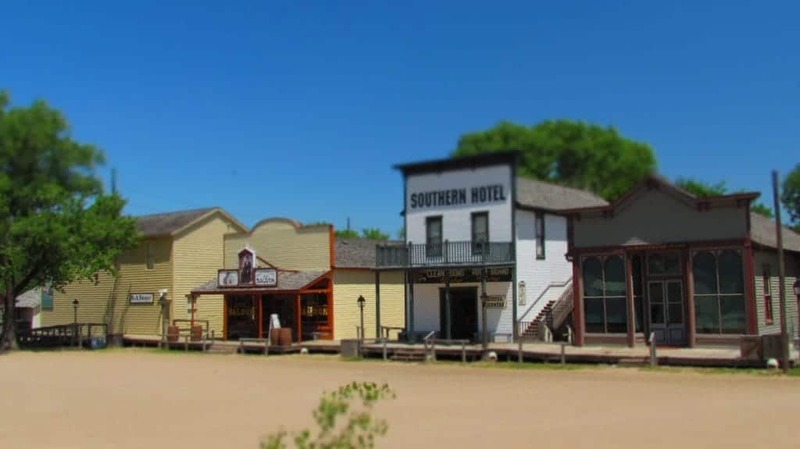 When we were researching attractions we would wish to showcase, Old Cowtown ranked high on the list. We both enjoy learning more about this period of our country’s history. Getting a chance to immerse ourselves in a replica town from that era sounded very educational. The oldest building in the park is the Munger house, which is considered the first real two-story home in Wichita. Besides serving as a residence, this building also was used as a post office, boarding house, office of the Justice of the Peace, and a general meeting place. Originally constructed in 1869, it is amazing that it was able to be preserved. Inside guests will see how the home was decorated in the original period. 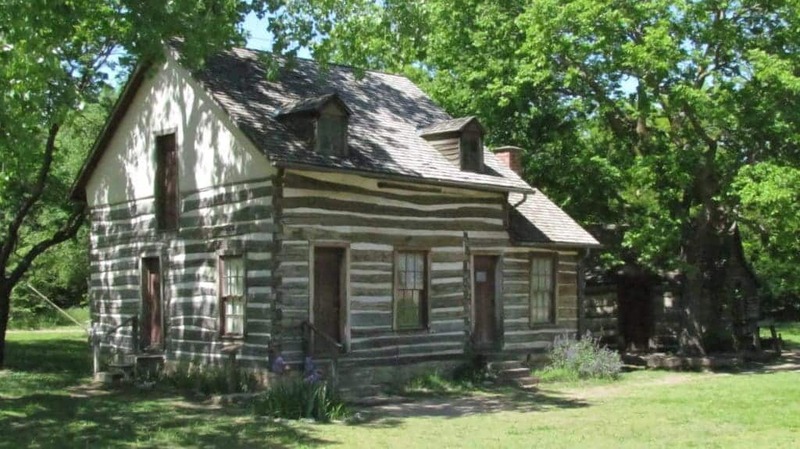 When you visit Old Cowtown, be sure to check out this building, and try to imagine living on the prairie during those days. A staff member gave us a short tour, so that we understood the lay of the land. He explained a lot of the history of the collection of buildings, as well as a little about how they were moved. Since it was late in the day, he told us it was less likely to see many of the characters, but there would still be some. Evidently, many of them were busy interacting with local school groups, who were enjoying end of year field trips. He dropped us off in the middle of town, and we began our own exploration. 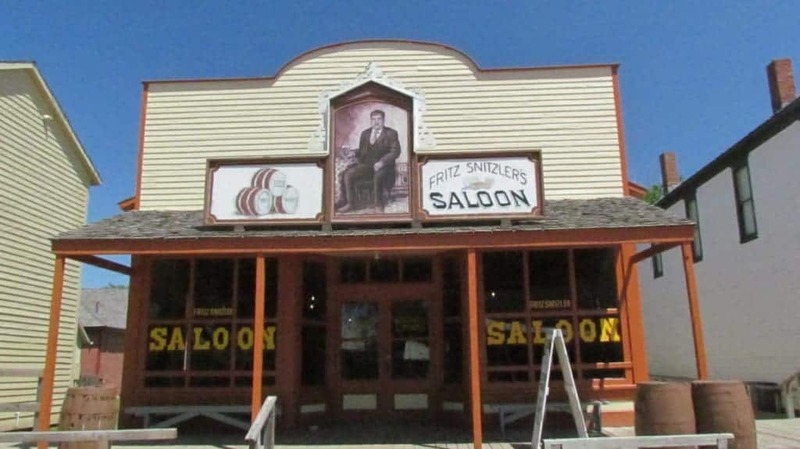 In the Business area, each building represented a certain type of shop that would be found in a frontier city. Inside we found examples of the products, tools, and devices that were commonly used. Informational cards and placards noted interesting facts about years gone by. 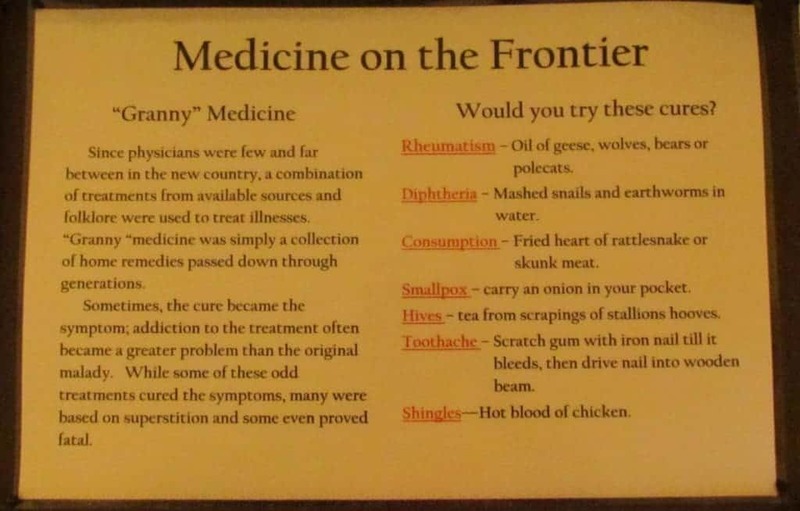 Some, like the old medicinal remedies, were amusing, and often a little disturbing. I’m guessing if I needed to cure Rheumatism I would choose the goose, since the other options sound quite dangerous. As we worked our way from building to building, it was easy to imagine ourselves in those early days. The attention to detail brings the experience almost to life. We continued to catch glimpses of some of the period characters, but had not really had an interaction, as yet. A visit to the store reminded us how many conveniences we have these days. It is amazing the amount of artifacts they have assembled in Old Cowtown. 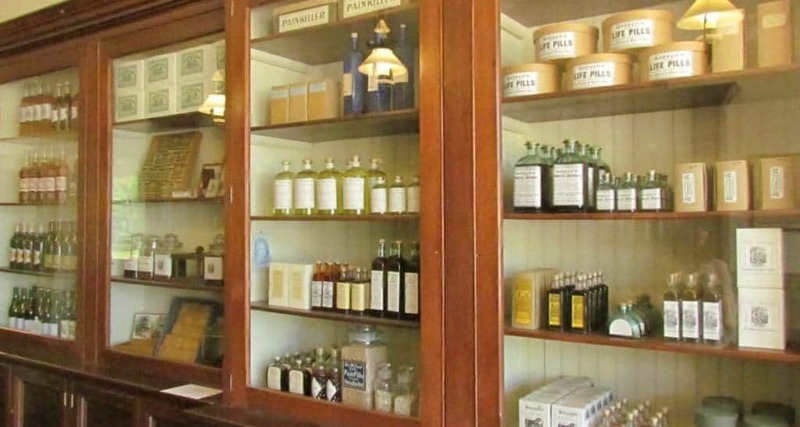 In the general store we could almost imagine driving our wagon to town to pick up our supplies. Of course, homesteaders in those days were usually struggling to get by, so the pickings would have been just the necessities. As we neared the center of town, we came to a side street. 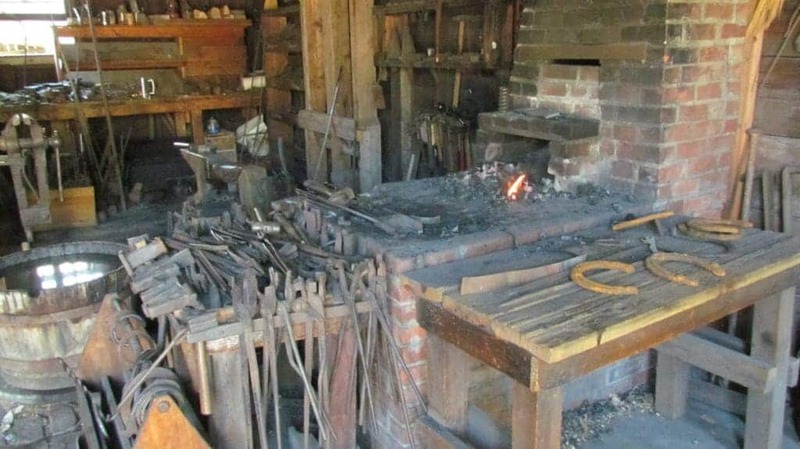 We decided to check it out, and came upon the Blacksmith Shop. To our surprise, he happened to be there. We introduced ourselves, and he proceeded to tell us about his passion for metallurgy. 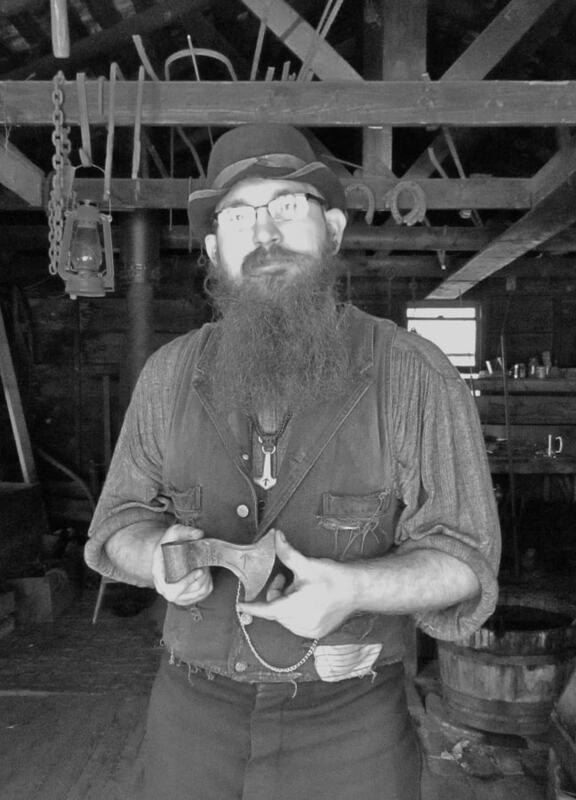 We listened as he detailed the importance of blacksmiths in the Old West. Clearly the position was as or more important than just about any in those days. We discussed how blacksmiths are still a valued and rare profession, but explaining that a project takes many hours can be difficult with kids of this generation. We understand exactly what he meant. As we had much more to explore, we bid our goodbyes. Before we left, he agreed to pose with one of his recent projects. Just across the street we saw the saloon. Since it was a warm day, we decided to whet our whistles. Inside we found a barkeeper who serves up refreshments to guests. Crystal went with water, but since I was getting into the period mood, I chose a sarsaparilla. It’s hard to beat a cold bottle of that beverage. We still had so much to see, so we headed back out into the dusty streets. From the tour, we knew that there was a farmstead at the back of the property. We decided it would make a beautiful picture, and headed that direction. Along the way, we ran into Roscoe. Now during our many research trips, we have the pleasure to meet many people. Some stand out a little more than others. Roscoe stood out from all of them. This larger than life huckster is clearly having the time of his life entertaining visitors like us. Roscoe is a Flim-Flam man. This type of character used sleight of hand to fleece the unknowing. His ability to create misdirection is impressive. He got Crystal to partake in his parlor tricks, and let her easily win the first round. Then he started using his skills to make her choices appear poor. On his final round of the shell game, he ended up with the pea not being under any of the three. Of course, he smiled the whole time, so I’m sure he was on the up-and-up. It was certainly entertaining for both of us. Thanks, Roscoe for the life lesson. We finally made it to the back of Old Cowtown. Here we found the DeVore Farm, which was originally built around 1880. The staff keeps and cares for a small menagerie of animals. We forgot to ask, but I am sure they use them for demonstrations when school age children are present. I know from reading that much of the area around Wichita was not originally deemed good for farming. The soil was arid. and the weather unforgiving. Of course, wherever a challenge exists there will be people who attempt it. Obviously many ended up being quite successful. For the most part, the animals were all busy grazing. All except for one goat. This fellow (didn’t check to verify that fact) was more inquisitive than his barnyard buddies. 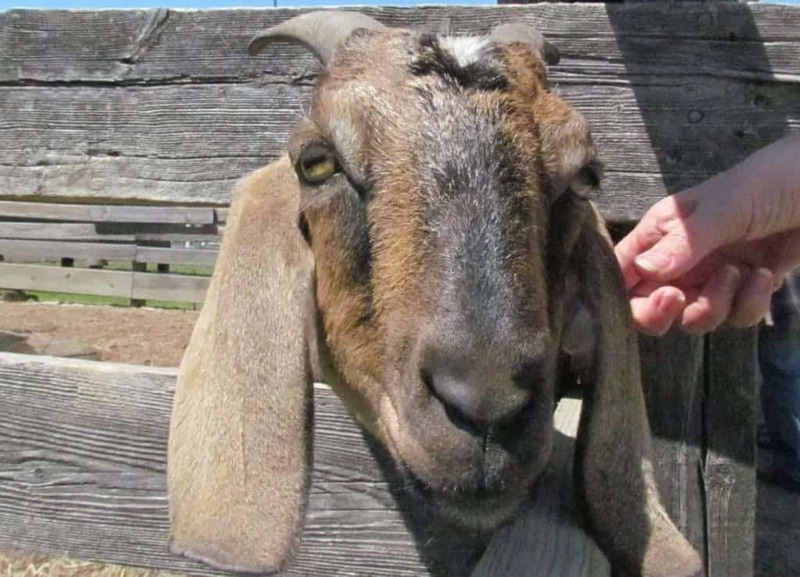 He squeezed his head through the fence, and demanded attention. Fortunately, Crystal was there to assist. He tried to take advantage of her kindness by attempting to nibble on her sleeve. With that disaster averted he calmed down. In hindsight he may of just wanted his picture taken, because he posed quite well for it. As we made our way back toward the Visitor’s Center, we continued to explore the buildings. 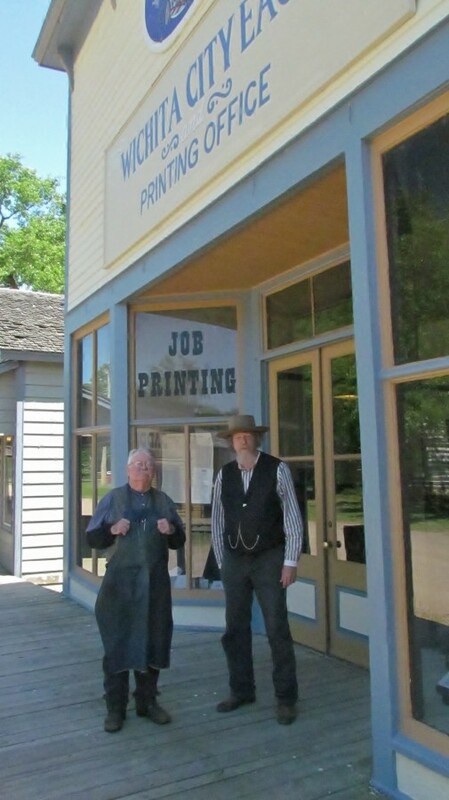 Near the front of Old Cowtown we ran into a couple more characters. 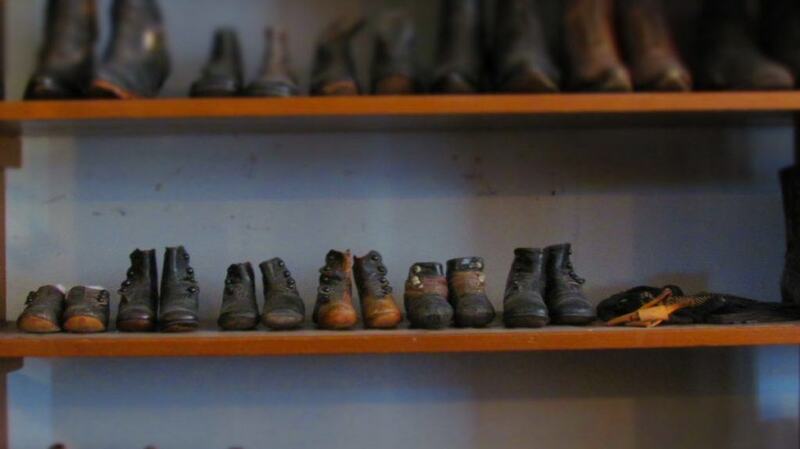 One of these was the town newspaperman, who invited us into his shop. He proceeded to explain a little about how newspapermen survived in the olden days. The monies made from producing and selling newspapers was not enough to survive. 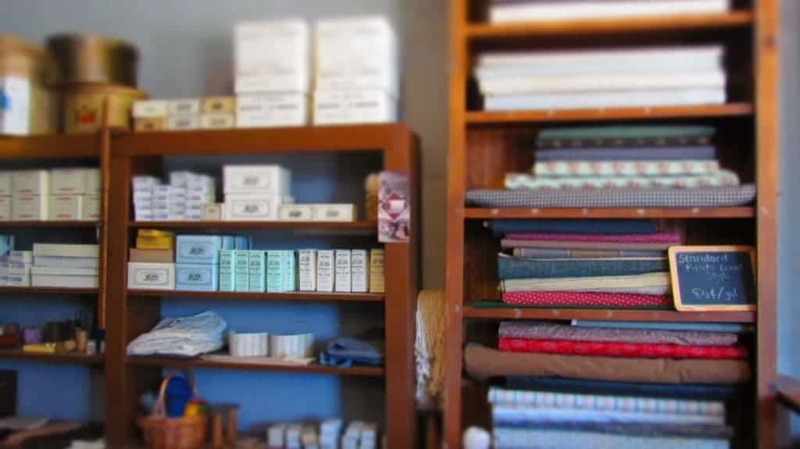 Most shops would make the majority of it’s money from printing cards, calendars, and notices for a fee. A row of old presses sat in the middle of the room, and he asked if we would like to see how they work. Once again, Crystal was willing to jump in and do the work. Now just remember that I’m the guy behind the camera, so I was already hard at work. 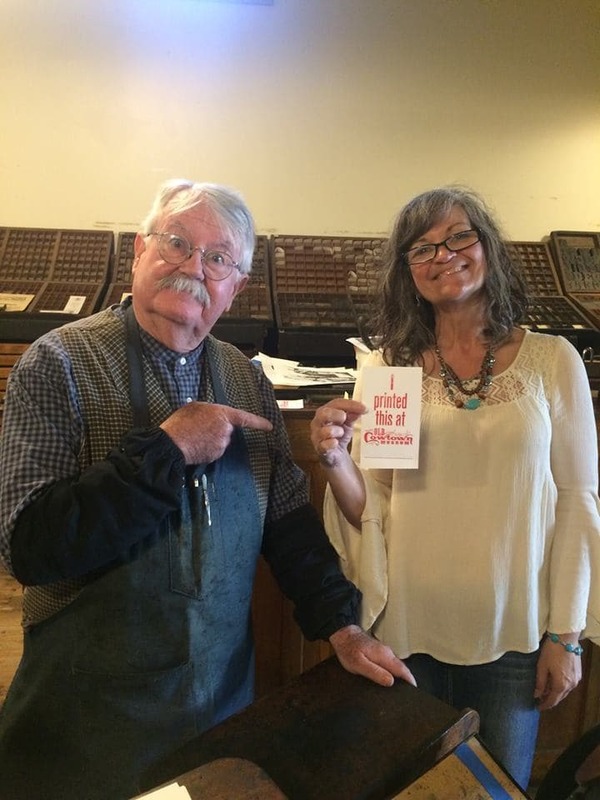 He showed her how type is set, and then had her create an actual printed card. I’ve been in the printing industry for 35+ years, and she just waltzes in and hits it out of the park on her first shot. I’m calling “beginners luck” on her. So with the closing hour approaching we high-tailed it back to the Old Cowtown entrance. A quick stop in the gift shop gave us a chance to pick up a something to memorialize our visit. Time to head off to another great Wichita restaurant. Oh the joy of modern conveniences. Hi Jeff & Crystal. 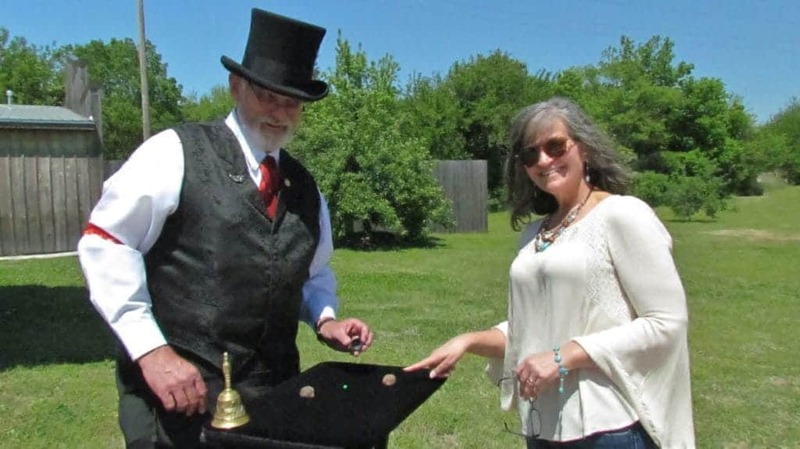 What a fun writeup about my favorite place, Old Cowtown Museum. I was delighted to meet you both, and I sincerely appreciate the prominent place you gave me in your article. Let’s play a few other games of chance with you next time you’re in Wichita. We would like that, Roscoe. Just let us sharpen our observation skills, before the next round. Thanks for all of the fun.